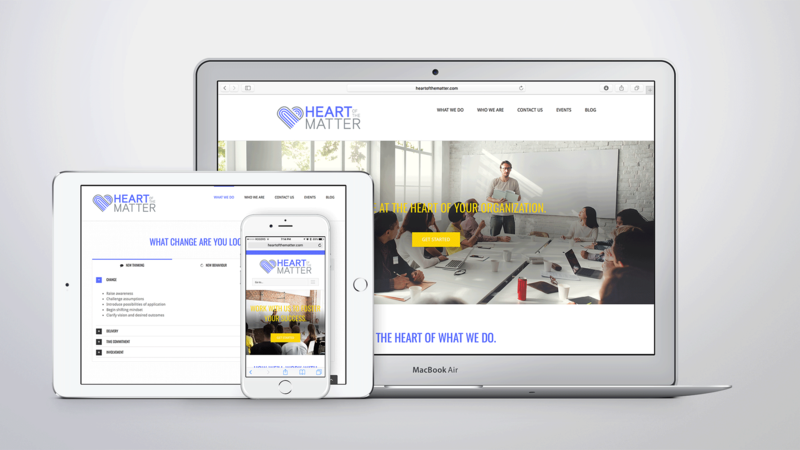 Heart of the Matter is a small, well-established business, which aims to foster success within organizations through learning seminars, coaching and consulting. 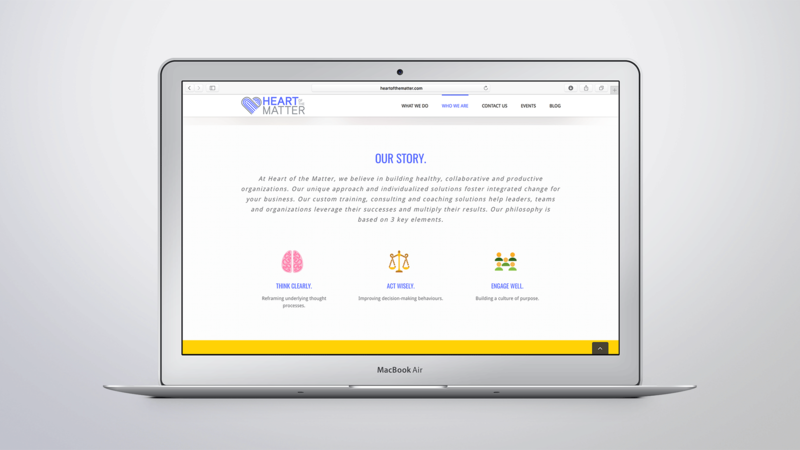 Working closely with the founders of Heart of the Matter, the goal was to rebrand with a modernized logo that reflects the core company values. 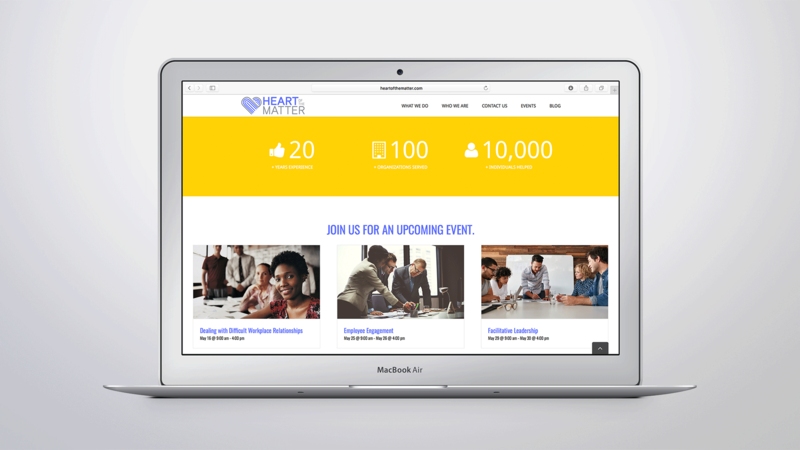 The abstract heart shaped icon embodies not only the company name, but also alludes to awareness, action, and transformation. A bright blue is refreshing among the traditional corporate hues. Associate with notions of trust, wisdom, and communication – blue embodies the corporate values of Heart of the Matter. 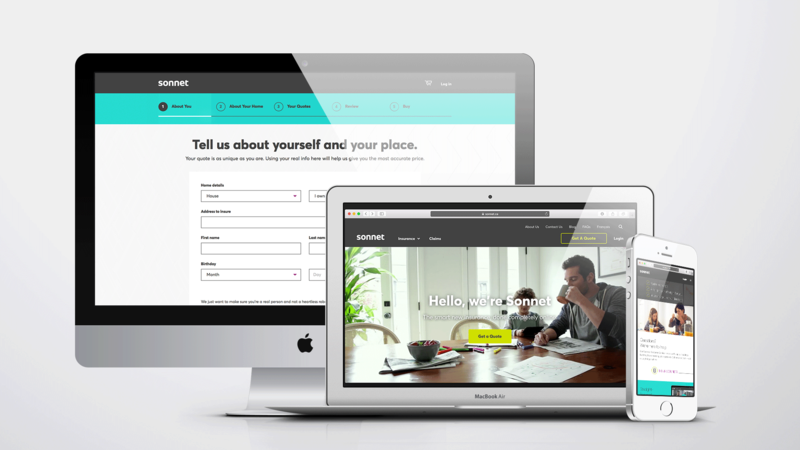 The Heart of the Matter website reflects the qualities of the logo and focuses on ease of use for the customer.